Day 13: Go see the Christmas Lights! 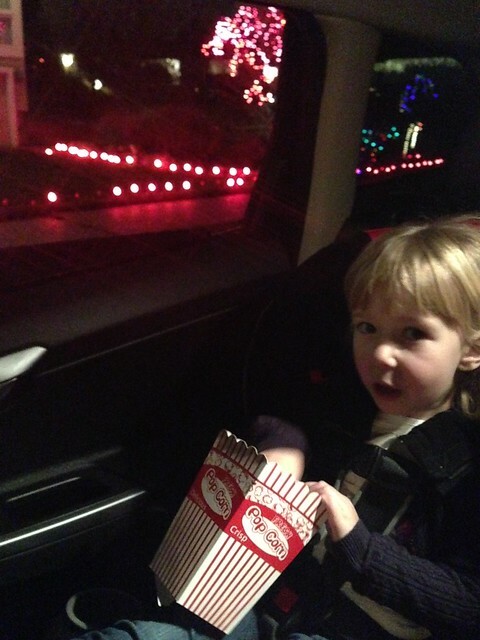 The plan was to pop some popcorn, go out for dinner then afterwards drive through Candy Cane Lane and eat popcorn while taking in all the lights. Well, you know what they say about the best laid plans. 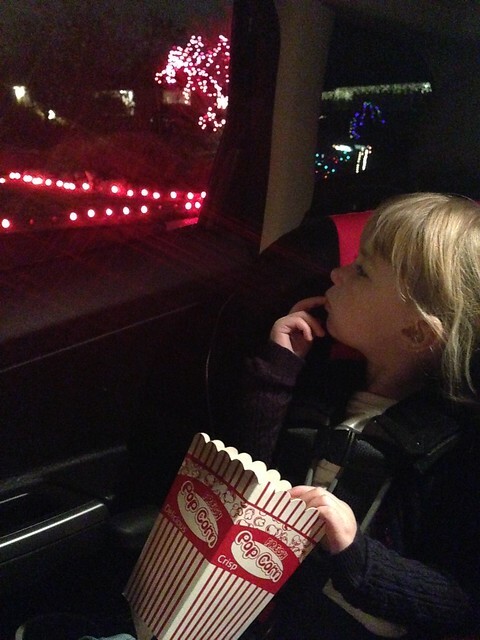 Driving across town singing Christmas Songs and suddenly it get awfully quiet in the back seat. Yep, she fell asleep. At 5:15pm. Plan B: Get takeout food to eat back at home. Luckily we were able to wake her up after getting the food and we were still able to do our drive-through light spectacular. And the winner of all Christmas lights? 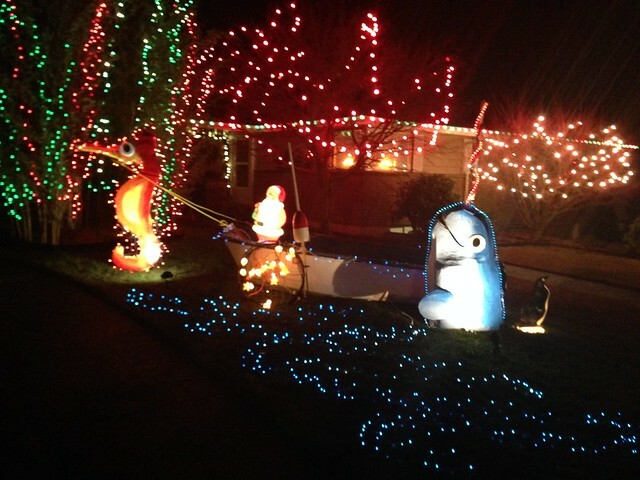 A Narwhal chasing a Seahorse pulling Santa's rowboat.